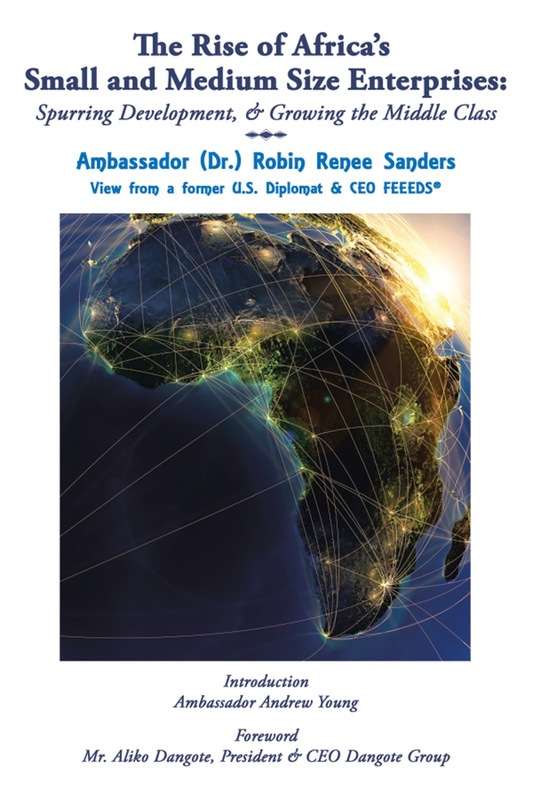 Since its publishing in April 2017, Dr. Sanders has done numerous book events around the nation on her insightful and comprehensive look at the role and impact Africa's small and medium size businesses and social enterprises are having on the changing landscape of Sub-Saharan Africa. The new video release on the book July 25, 2017, "The Rise of Africa's Small and Medium Size Enterprises: Spurring Development & Growing the Middle Class," is out now (see below), and the next book event will be hosted by the United States Chamber of Commerce in Washington, D.C. on July 28, 2017. During this event, Sanders will also be serving on the opening panel on the impact of Africa SMEs on the Chamber's program with this year's Mandela Fellows, a select group of young African entrepreneurial leaders who will be engaged, as part of the U.S. two-year commitment on education and training in the region, with U.S. universities and businesses around the nation. This is the second year Dr. Sanders is participating in an event to support the goals of the Mandela Fellows program.